The national media regulatory body argued that since India banned airing of Pakistani content, it had to do the same for Indian content in Pakistan. 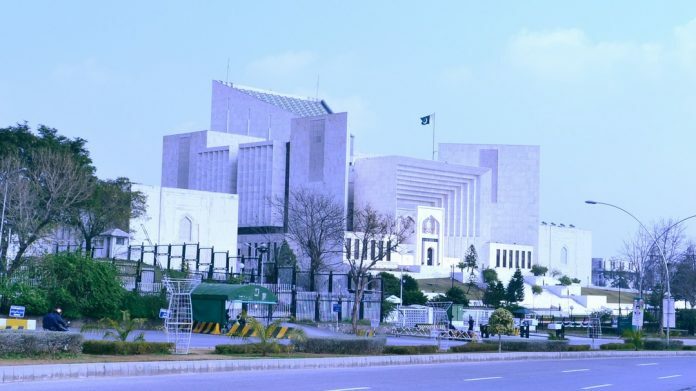 Islamabad: Pakistan’s Supreme Court on Tuesday barred private channels from airing Indian films and television shows, amid escalating tensions between the two countries following the Pulwama terror attack. A three-member bench headed by Justice Gulzar Ahmad took up the case in which an order of the Lahore High Court (LHC) allowing Indian channels in Pakistan was challenged. A lawyer of Pakistan Electronic Media Regulatory Authority (PEMRA), which challenged the LHC ruling, told the court that government through a policy in 2006 allowed airing of 10 per cent foreign content on local channels. However, PEMRA on October 19, 2016 imposed a complete ban on airing Indian content on local television channels. The lawyer said that since India authorities banned airing of Pakistani content, PEMRA had to do the same for Indian contents in Pakistan. After hearing the arguments, the Supreme Court set aside LHC order and reinstated the 2016 policy of PEMRA banning the transmission of Indian content on local television channels. The move came a week after Pakistan’s Information and Broadcasting Minister Chaudhry Fawad Hussain said Pakistan film exhibitors association will be boycotting the Indian films following Indian air strikes on a Jaish-e-Mohammed terror camp in Balakot in Pakistan’s restive Khyber Pakhtunkhwa province last month. Hussain also said that he has instructed the Pakistan Electronic Media Regulatory Authority (PEMRA) to crack down on “made-in-India advertisements”.